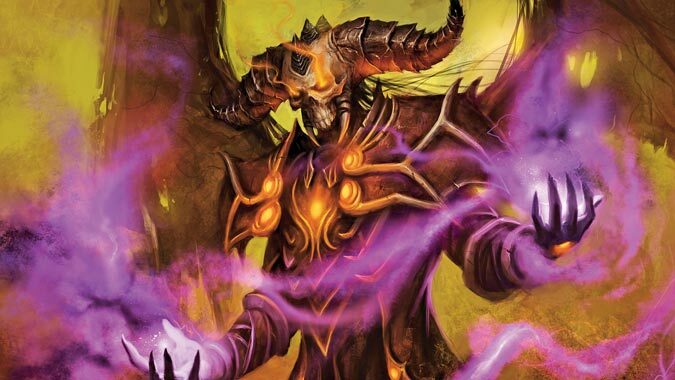 Demonology is getting a rework (again) in Legion, and we don’t know anything about what Destruction has in store. With the announcement of the Insanity resource for Shadow Priests, I imagine our DoT-loving brethern have some changes in store for them. I just hope Affliction isn’t left out in the DoT-spec love. The DoT spec of Warlocks might be doing well in current raid content, but it’s far from fun, and it has some jarring gameplay problems that deserve discussion. Initially, Soul Swap was just a tool to facilitate faster swapping to adds that just spawned in a PVE encounter, or for swapping between enemies and reapplying after dispels in PVP. It had a cooldown, so you had to either time the ability correctly, or use it on key adds rather than on every add. You could hold the exhale for 20 seconds, so you could pull off the best snapshotted DoTs early and then apply them later. Mists of Pandaria added the Soulburn effect, where it instantly applies all three main DoTs to the target. Siege of Orgrimmar’s patch 5.4 exploded the can of worms when it removed the cooldown to Soul Swap, so you could Swap continuously to any target, but made the exhale hold period shorter to compensate. The shortened hold period didn’t matter much because the ability to quickly apply almost all of our strong single-target damage to any and all targets was too powerful. Soul Swap had transitioned from a mere utility spell to a damage dealbreaker. This is when the spell became a dangerous part of our arsenal, because what happened next is generally regarded as developer overreaction by players. The combination of an ability with little downside and the power of snapshotting with stacked cooldowns was just too much damage going on for a healthy damage spec. Snapshotting was mostly removed from the game, which took away a lot of the Affliction meta game as well as a lot of our insane damage. But the developers went further and attached a resource cost to Soul Swap, so even using it as utility had to weigh up with using a damage buff spell. Soul Swap is one of many examples where the spec feels like it can’t decide what design choice it wants to go with. Is Soul Swap just an occasional utility spell for easily swapping DoTs around? Or is it meant to be an important damage staple for initial application and multiple target damage? A big problem of our damage balancing comes from the unfortunate blessing we have of easily duplicating our powerful single target rotation across many targets. We need to have some kind of decay against multiple targets in order for our single target to remain strong. However, we don’t want to be completely gutted when having to switch priority targets with reapplying DoTs. I can’t really remember the last time I used Seed of Corruption in a raid setting. Almost every fight with an AOE focus meant I was bringing Demonology or Destruction to the table. Seed sees more action as a DoT spreader than as an actual AOE spell. The general rule with Affliction is that if you need to AOE, switch specs entirely. I wish Seed were a better AOE to keep up with modern raiding. Yes, Seed of Corruption can be amazing once you set up a long chain and detonate it. But that takes time, and frankly most things in raids that require AOE have small health bars and end up focused down by the entire raid. 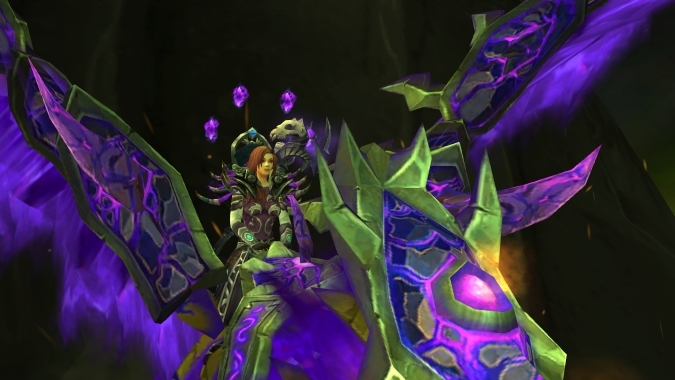 Though Demonology will lose its signature burst AOE spell Chaos Wave in Legion, even Destruction can hold its own when it comes to the AOE department with sustained damage. There are rare spots where a well-set-up Seed does amazing damage, but far and wide, Affliction just doesn’t use AOE anymore. There’s single target and then there’s multi-dotting (dual or triple target). When I play my Witch Doctor in Diablo 3, I tend to stick to the DoT playstyle, at least at first. The DoT build requires the Jade Harvester class set, which evolves some of the DoTs involved in the build. First, through the 2-piece set bonus the short DoT Haunt — different from our debuff Haunt — becomes a direct damage spell when cast on a target that already has a Haunt on it. Second, through the six-piece set bonus, the ability Soul Harvest — again, different from our passive — becomes a deadly and powerful AOE tool instead of just a stacking player buff. Soul Harvest in the Jade Harvester build detonates the DoTs on all targets dealing the remaining DoT damage instantly. This is what I feel like Seed should be able to do. Perhaps not all of the remaining DoT damage, because I’m sure a multi-dotter would wreck things in PVP if it worked like that. But I wish that somehow the DoTs on a target factored into Affliction’s AOE. Letting a Seed explode on a target for a portion of the overall and buffed DOT damage would allow the single target rotation to still matter without overwhelming the multiple targets problem. It would still require some setup, but a Soul Swap plus a Seed is a lot less setup than tabbing around a chain of Seeds in a race against the rest of the raid demolishing the targets. Most secondary resources have generator spells and spender spells, whether they depend on a continuous bar or discrete combo points. 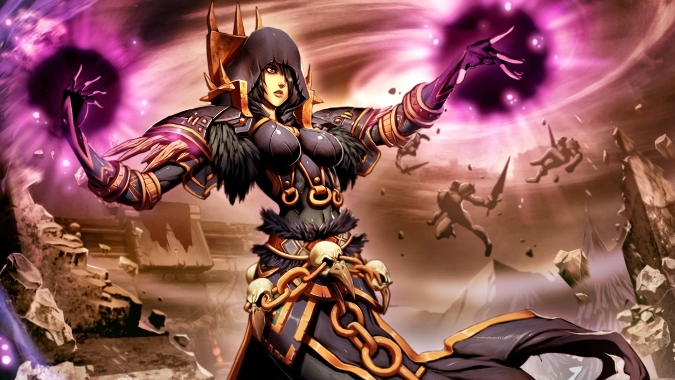 Death Knights are possibly the closest to Affliction, as they also have just spenders. 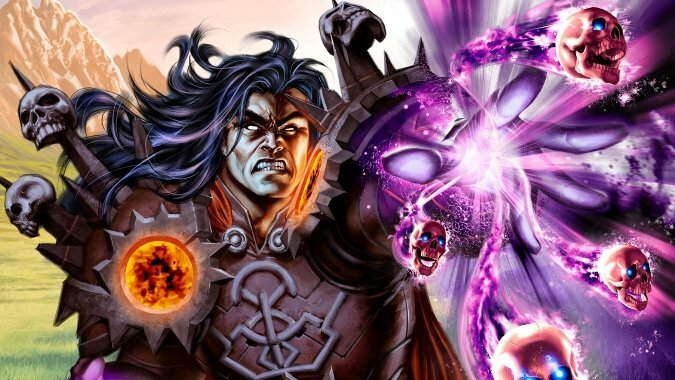 Death Knights can generate the every-rune Death Rune through abilities, but those abilities cost a resource, so it ends up being a unique double-duty resource spender and re-generator. Affliction doesn’t have generators, but just spenders. Our “generator” is a passive chance proc on a single DoT’s ticks — completely out of our control. The Nightfall system isn’t even predictable through either time or casts like an Eclipse bar. Instead of the spec fantasy of slowly and keenly tearing a soul apart, the Affliction playstyle has warped into this randomly great or randomly terrible damage. Our major damage maintenance buff is dependent on our resource regenerating, but we can’t control when that happens, like almost every other class with a secondary resource does. Nightfall also devolved from a fun proc into something so passive I don’t know why the UI still alerts me to its occurrence. The old talent used to let the Warlock cast a free and instant Shadow Bolt, which was a fun instant to use and react to. You could either hold the cast for a period of movement or let it go right away for extra damage. Now, the proc is nothing more than a weak congratulations on regenerating resource. Sometimes the proc happens too often in a period, so you “waste” shards in a sense, and sometimes it’s like pulling pixel teeth just trying to get another shard to appear so you can continue your regular rotation. The UI lights up the Soul Shard spenders whenever Nightfall occurs, which is equally annoying since you don’t always want to spend the shard quite yet. I miss the old Drain Soul method of regenerating Soul Shards. We can’t go back to the exact old system so long as Drain Soul is also our main filler, because we’d probably generate shards too quickly. We would have to go back to the Mists of Pandaria model, where we generated shards on every other tick or perhaps more. Although Malefic Grasp and Drain Soul were eventually the same thing, just Drain Soul did more execute damage, it was a conscious effort to use Drain Soul purely for shard regeneration instead of damage. I’d rather our resource regeneration be a thing we do often on purpose, rather than a thing we passively hope will happen soon. As for Nightfall itself — as a proc, I’d rather have a damage buff or a damage proc happen. Maybe a small but fast and powerful DoT, if we’re married to Affliction having a toolkit entirely made of DoTs and debuffs. 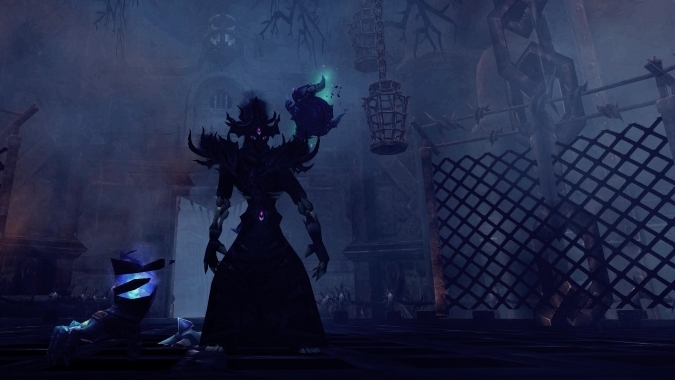 We actually had the Diablo 3 Jade Harvested Haunt hit in Mists of Pandaria beta, where the Nightfall proc would be an instant chunk of Malefic Grasp damage. There are more interesting things we could have with a spec-centric proc than a punishingly random resource generator.